Lapland is a unique arctic region that strives to be the most innovative and business-driven sparsely populated area in the EU and Circumpolar Arctic by 2022. The Future aims are high, but the actions taken to reach this goal are concrete and remain close to the actors. Necessary boost to regional development in Lapland has been discovered through international cooperation and by bringing regional actors together. During the past few years, Lapland has achieved an internationally significant status and acknowledgement for its innovativeness and efficient cluster activities. A concrete concept based on smart specialisation (S3) has facilitated connecting different regional development actors from universities to research institutes and development companies. Smart specialisation has generated new ways of collaboration across organisational boundaries and national borders, and the potential of this collaboration seems to have no limits. Arctic Smartness is an approach to regional development established by actors in Lapland, and it functions as an ‘umbrella’ for all projects implementing smart specialisation in Lapland. “Lapland’s Arctic Smartness concept gives a shining example of how regions may successfully enhance their development activities and utilisation of EU resources. Dedication, cooperation across different sectors and strong common vision are the key ingredients”, says Kari Aalto, the director of East and North Finland EU Office. development. At the same time, the actors must ensure that smart specialisation is put into practice to raise awareness about Lapland’s economy by producing feasible material and information about the statistics in the region. 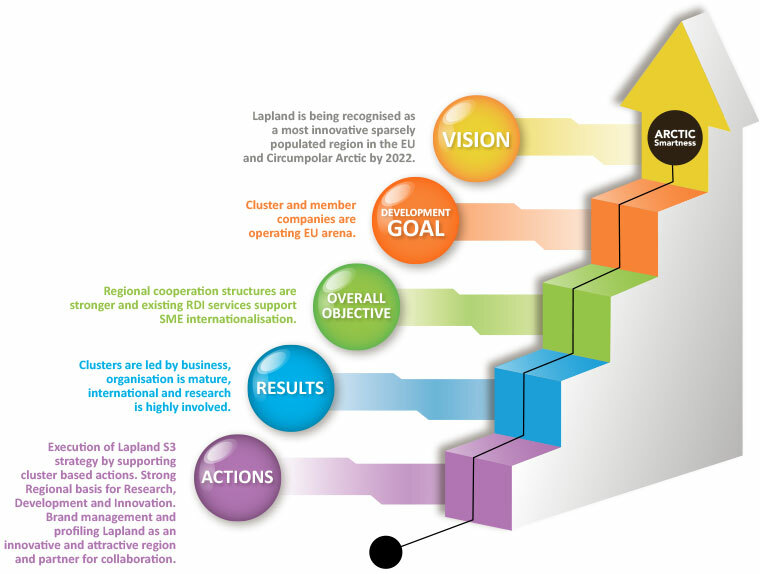 The future of Lapland looks smartly excellent. “Via Arctic Smartness activities, we offer SMEs in Lapland a healthy and stable breeding ground for growth and development. With tightened cooperation between regional actors and entrepreneurs, we will become even more powerful in international networks and markets as well”, says Kristiina Jokelainen, Director of international relations in the Regional Council of Lapland.